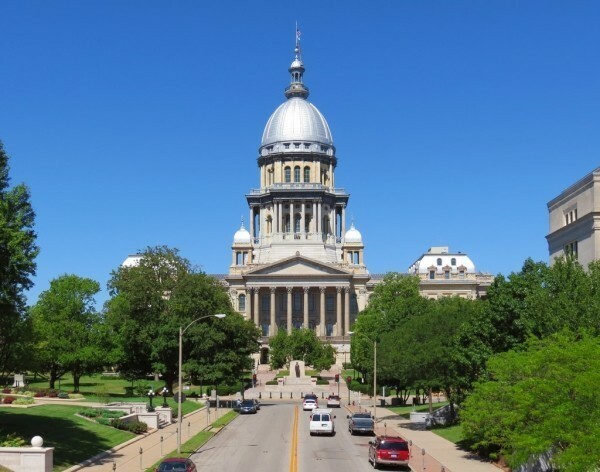 Springfield, IL-(ENEWSPF)- The Illinois House of Representatives voted Thursday to override in full vetoes of Governor Bruce Rauner, finally passing a budget. The Illinois budget lifts the state from more than two years operating in a self-inflicted crisis, driven by a governor who refused to negotiate, instead insisting that his budgetary demands be met in full. Speaker Michael Madigan pointed out after the vote that Illinois will be spending less in the budget passed than the spending threshold demanded by Governor Rauner. The session was delayed by two hours due to a hazardous materials situation after someone threw some type of substance at the governor’s office. eNews Park Forest tweeted live during the House session. Rep. Will Davis began the discussion with a motion to override the governor’s veto of Senate Bill 9, the revenue bill passed in the senate, vetoed by the governor, and immediately overridden in the senate. GOP Leader Jim Durkin said, “Our work is not done,” saying, “Our legacy must not be determined by today’s action,” but what happens in the future. Durkin did not support the overrides. Rep. Dave Harris, a Republican, addressed Gov. Rauner in his remarks, “You are an astute businessman,” he said. 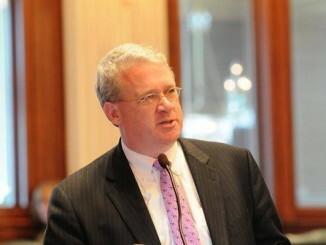 He then asked if “junk status” is what the governor wanted for the state of Illinois. “If we don’t have a budget, we have junk status,” he said. Davis further said that members who felt they were not part of the discussions that took place could have spoken up at any time. Rep. Davis also expressed concern over death threats some members said they had received. “Threats are no way to govern,” he said. Rep. Tim Butler (R) of the 87th legislative district spoke at length about his siblings who left the state “because of our economic decline.” He then spoke of his siblings who left the state by name, citing a failed business from Peoria. Each member was given 5 minutes to speak, and he was the only one who was asked to bring his remarks “to a close.” His rhetoric appeared more geared toward a campaign stump speech than toward his colleagues. Rep. Anthony DeLuca (D) wanted assurance that, after the budget was passed, dialogue would continue. Rep. Will Davis told him the budget is an ongoing process, and discussion would commence on the next budget. Madigan asserted that the process was not finished. “We will continue to heal the wounds of the past three years,” he said.